The origin of Curlies is unknown, but as with most horse breeds, their proponents say they have an ancient pedigree. Early breeders in the U.S. thought they were descended from Russian Bashkir horses, a rare breed with stocky conformation and thick mane and tail, so they called their own breeding stock American Bashkir Curly horses. But it was later proved that a different Russian breed, the Lokai, was a possible source of the curly hair. (The word “Bashkir” was kept in their name to avoid confusing newcomers to the breed.) Just how curly-coated horses came to North America remains a mystery. There were reports as early as the winter of 1803-04 of horses with rough, curly winter coats that were taken by the Sioux from either the Pawnee or Crow Indians. Around 1860 P.T. Barnum displayed a curly-coated horse he called the “Woolly Horse.” Charles Darwin wrote in his 1905 book The Variation of Animals & Plants Under Domestication, Volume 1 that a colleague reported seeing curly horses in Paraguay. 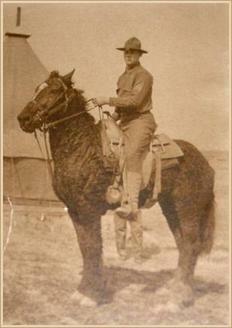 And a rare 1906 photo of a U.S. Cavalry horse in Mongolia reveals an obviously curly coat. 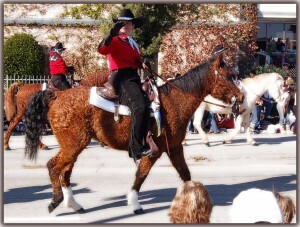 The first breeders of Curlies in the U.S. were the Dameles of Nevada. Around 1898 John Damele and his son Peter were riding in the mountains in central Nevada when they spotted a few unusual horses with tight ringlets all over their bodies. Occasionally the Dameles would round up wild horses and tame them for working cattle on their ranch, and in the early 1930s they caught a curly-coated horse and trained it for riding. Over the next several years there were a few particularly brutal winters that only a few wild horses survived, most of which were curly. This convinced the Dameles they had a special type of horse in their backyard. The American Bashkir Curly Registry was founded in 1971 with 21 registered horses and has grown to more than 4,000 entries today. 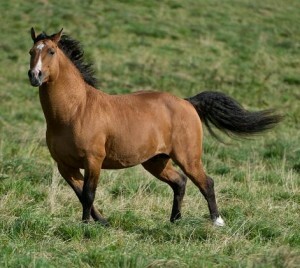 Initially four other breeds, Arabian, Morgan, Appaloosa, and Missouri Foxtrotter, were permitted in the stud book, but in 1999 the registry was closed to outcrosses. The International Curly Horse Organization was founded in 2000 to register curly-coated horses of mixed breeding and to perform inspections of Curly breeding stock. Curly Sporthorse International was created in 2003 to promote the breeding of Curlies for sport and pleasure. 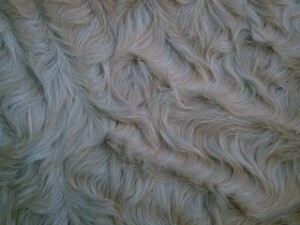 Because there are a variety of breeds in a Curly’s pedigree, its body type can vary. Many horses registered with the American Bashkir Curly Registry resemble Western Working Morgans or foundation Quarter Horses, but it’s also possible to find Curlies from other registries in every size and shape from miniature horse to draft-type. A common trait is that the curly coat is hypoallergenic, and you can even shear the horses’ winter coats and spin their hair into yarn. Curlies come in every color and pattern. 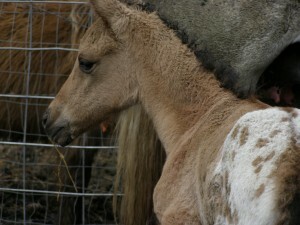 About one-quarter of the foals from two curly-coated parents will have smooth coats, but they are still hypoallergenic. All other Curlies are easily identifiable by their spiral manes and tails, curly hair in their ears, and varying kinds of curls on the body from tight ringlets to soft waves. Even their eyelashes may be curly. There hasn’t been much scientific research into where the curly-coated gene came from, how it expresses itself, and if there are variations of the gene. (Dr. Phil Sponenberg published a report in 1989 that made some statistical assumptions based on a sample of registered American Bashkir Curlies.) Only one copy of the gene is necessary for a horse to have a curly coat, and it’s probably dominant since curly horses produce curly offspring about 50% of the time when bred to non-curly horses. 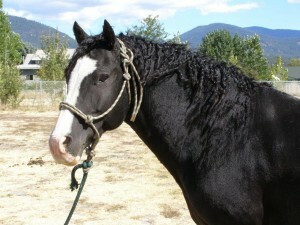 Extremely tight curls may indicate that a horse is homozygous, or carries two curly-haired genes. Studies show that Curly hair is hypoallergenic because it has less of a certain protein than other horses’ hair. Below is an 11-minute promotional video put together by Curly breeders. It has some adorable footage of foals and candid moments showing the tractable nature of Curlies. I didn’t know much about them before researching them, but I’m very impressed with this unique breed 🙂 Thanks for your comment, Sheryl! great article Kristin – well done! Come and meet some when you have time.